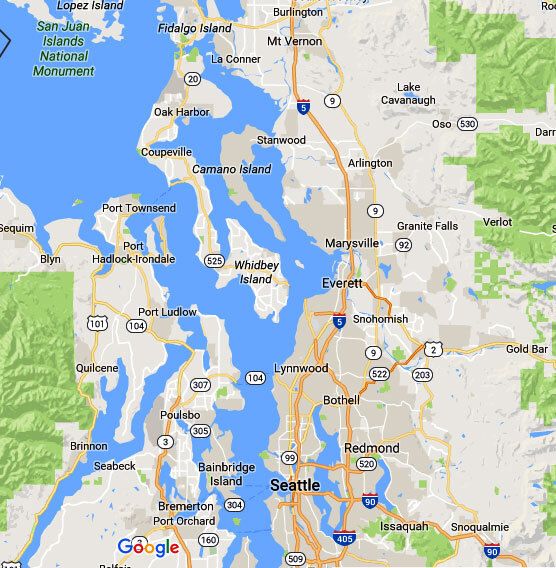 We detect and repair water leaks in Seattle, Tacoma, and throughout the Puget Sound. Our experience ensures the job will be completed correctly the first time. We strive to keep up with the certifications necessary for your project. Don't take our word for it. Our clients are happy to share their experiences with you. Whether you’re a homeowner who might have a leak, or a commericial client looking for a contractor, we’ve got you covered. With over 20 years of experience, we specialize in locating water leaks to minimize damage to property in the greater Seattle area. It takes essential knowledge to properly locate water line issues. We use a variety of methods to make sure that we have pinpointed your water leak whether it be for residential or commercial properties. The representative that comes out to find your water leak is also capable of repairing or replacing the water line for you therefore you do not have to wait to find out what the next steps are or what they will cost; that is not always the case with other companies. Once the issue has been located on your line, it needs to be repaired with quality workmanship and materials. Due to condition and age of line, there are instances where the line may need to be replaced. Water utility companies do not locate water lines on your property. The utility is responsible from the water main to their water meter, the property owner is responsible for their water line from the meter to the home or business and it is their responsibility to know where it is. 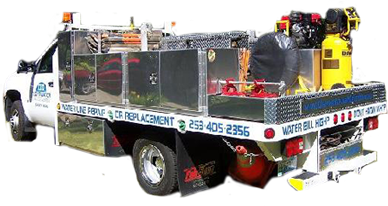 With our equipment, we are able to locate the water lines on your property. There are times when you have to go under items in the yard (driveway, sidewalk, landscape, etc.) and you don't want to take dig up the grounds, trenchless pipe installation is a method that will accommodate these needs. We can help you determine if this is the correct installation for your project. By Washington State Law, backflow assemblies need to be tested once per calendar year by a certified tester. Our representative can install, test and repair your backflow assembly for you. There are times where your water leak is in your irrigation system. We are able to help locate the leak within your system. With our specialized equipment, we can quickly determine if your pool is leaking and the rate of gallons lost per minute or inches per day. In addition to testing for sewer leaks, smoke testing can be used to find moisture leaks in roofs, windows and doors, and to find leaks in HVAC systems. Thermal imaging allows us to find pipe runs that are buried in sub-floors and other areas in order to locateÂ water leaks before they become visible. Clearwater Leak Detection specializes in locating your water leak to minimize damage to your property. Leaks can drain valuable resources from your water utility. They can also drain you financially as well. It is better for you to have a leak specialist pinpoint the problem before excavation. Learn more about us.